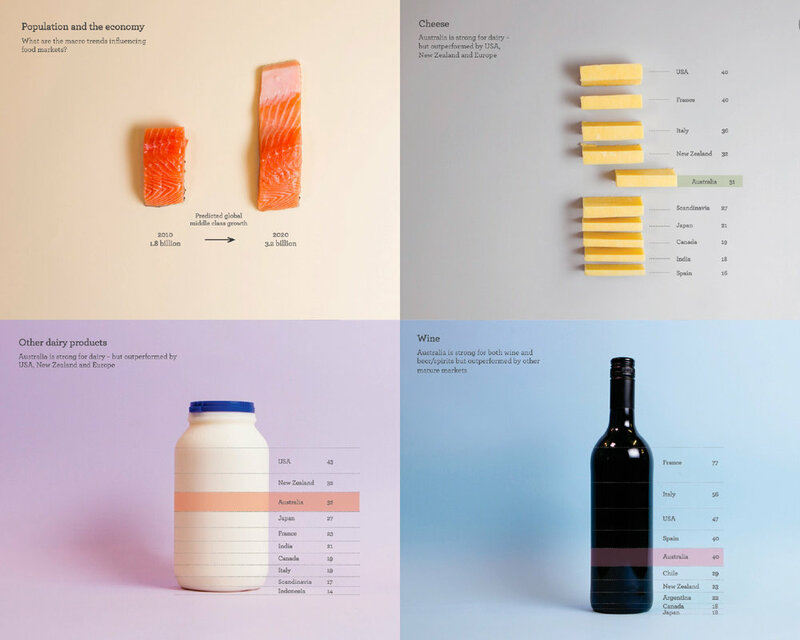 Melhuish & Co created Food infographics illustrating the importance of Australian food groups provenance, as ranked against other countries. If you must show statistics in Powerpoint - make it stunning. Everyones doing infographics these days, by using real photography it has more brand impact. 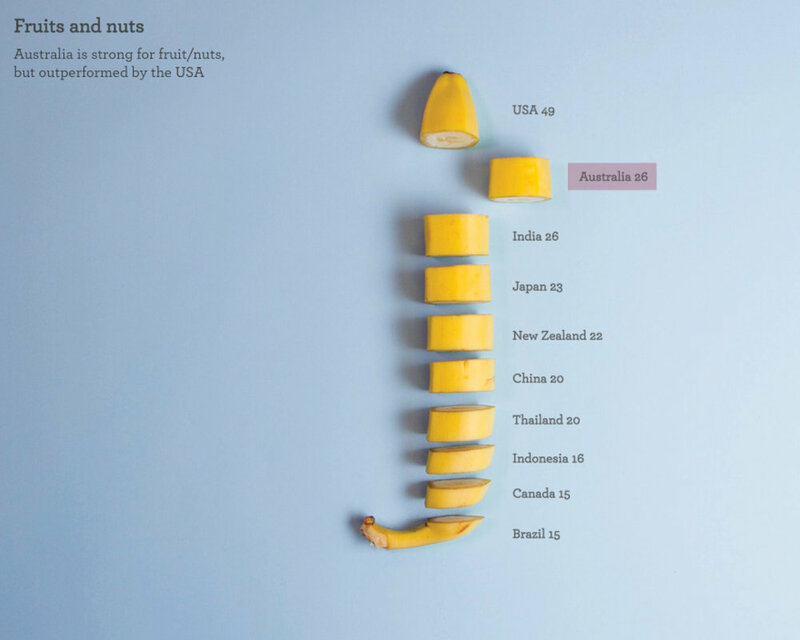 Creative Infographics illustrating the importance of Australian food groups provenance, as ranked against other countries. If you must show statistics in Powerpoint - make it stunning. A great example of how to humanise data.